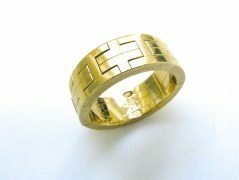 A Vintage Hermes ring. 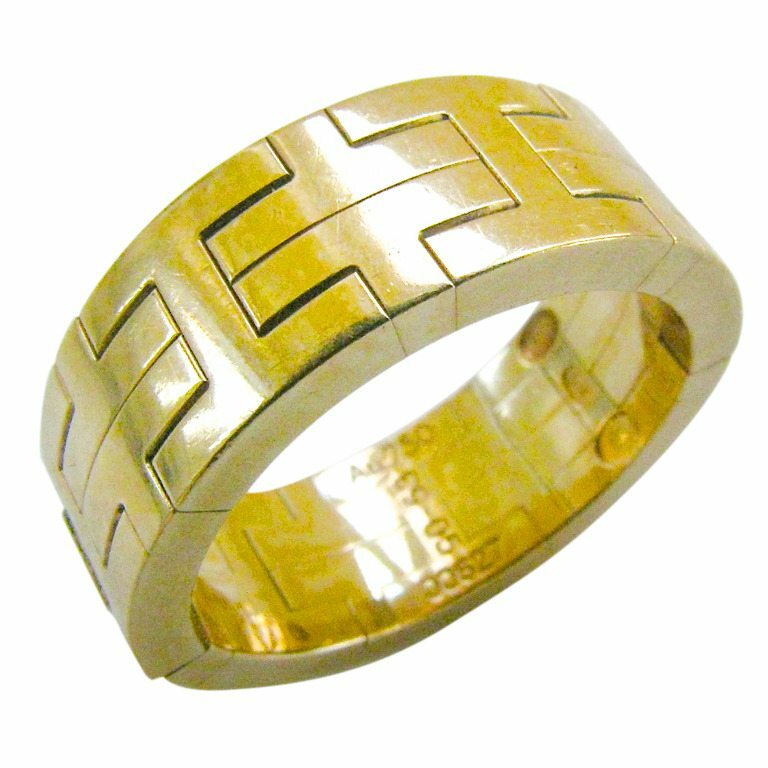 The 5/8″ 18k yellow gold articulated band made up of a connecting H motif. 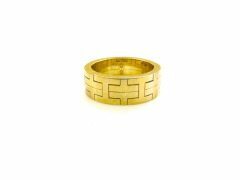 This ring was part of the Hermes “Kilim”collection. 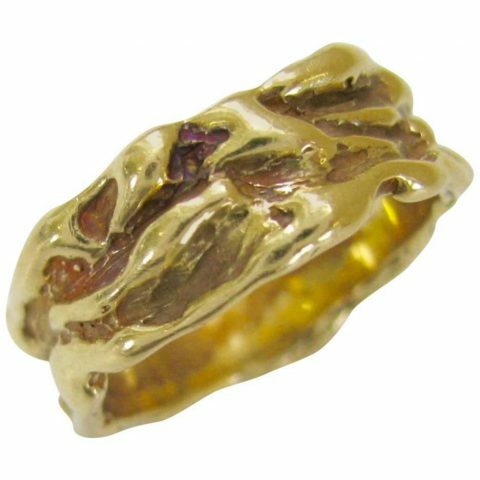 An early version, this ring is beautifully constructed with a nice substantial feel and very slight movement to the gold. 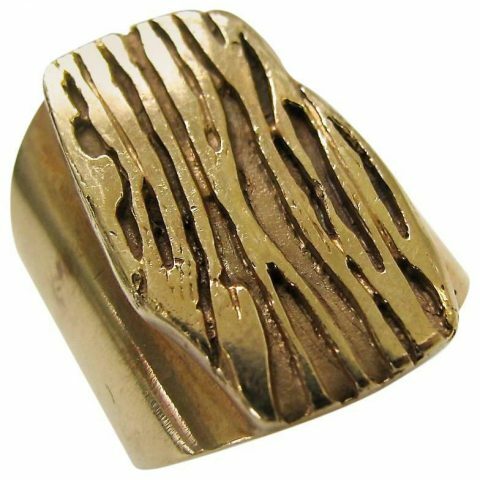 Later rings in this line were merely engraved to represent the style. 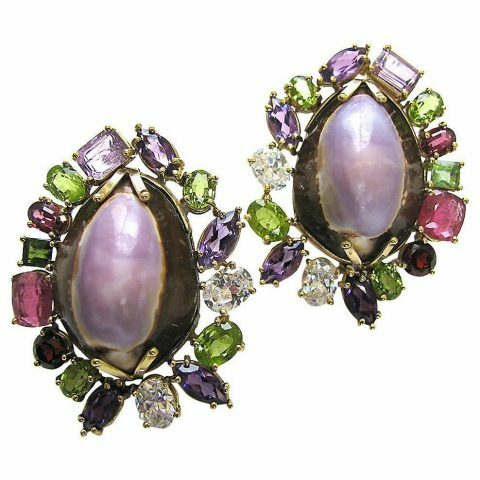 Elegant and Classic. Unisex. Size 6.